43 million Americans have chronic sinusitis, making it one of the most prevalent (16%) chronic disea.. Beautifully illustrated and comprehensive, this must-have atlas guides readers through the delicate,.. This book is a core fundamentals textbook for the introduction to audiology course that all undergra..
Now in its Fourth Edition, this book is designed for students in audiology or students desiring a br..
University of Texas, Dallas. 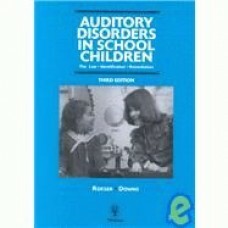 Third edition of a text for audiology students. Previous edition 1988. .. 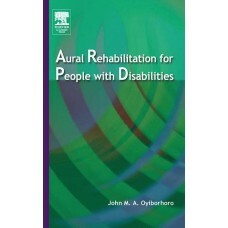 This book addresses an underserved area in the field of diagnostic and rehabilitative audiology, spe..
First published in 1908, this text has since sold 150,000 copies worldwide in 10 languages. This cen.. 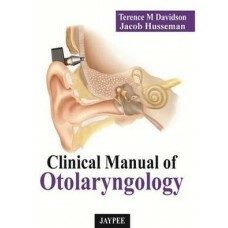 Although intended as an introduction to otorhinolaryngology, this could also serve as a review or se.. The format for the sixth edition has changed significantly to comply with today's medical school cur..
Clinical Audiology: An Introduction is a stimulating, introductory - level textbook that provides a ..
Quick answers to the common problems in otolaryngology are found in this convenient manual. Detailed.. 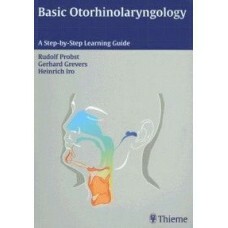 This is an up-to-date, practical reference for the management of voice disorders caused by structura.. This title covers such topics as: Imaging and Anatomy of the Cochlea; Genetics of Hearing Loss, Test..
Cochlear Implants are prosthetic replacements for the inner ear and are only appropriate for people ..